If you cannot read this email, then click to view this newsletter online. 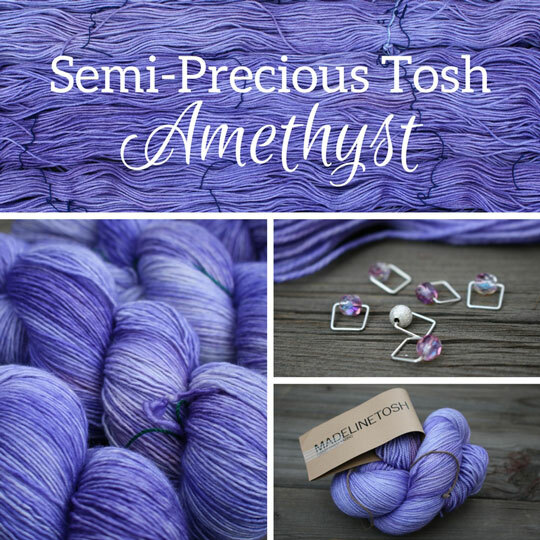 We're proud to introduce color number five in our Semi-Precious Tosh collection - Amethyst. In the spirit of spring cleaning, we felt Amethyst was a perfect match for this month's gemstone since it is known for its cleansing and healing properties. Madelinetosh completely swept us away this month with their rendition of Amethyst, and this peppy, pastel purple incorporates wonderful tonal variation that is remarkably easy on the eyes. We have been obsessing over this color since its arrival to our shop, and many of the Beans here could hardly wait to cast on a skein or two of their own! 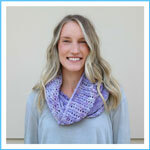 It was love at first sight for Cassidy when she saw this luscious purple, and she quickly snatched up two skeins of the Tosh DK to create her own Ingot Cowl by Lisa Mutch. 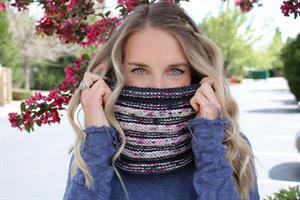 The pattern is worked up on US 11 needles and incorporates a stockinette and simple lacework design, creating a loose and elegant cowl that knits up quickly. 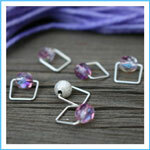 This design pairs perfectly with the Amethyst, leaving magnificent stitch definition and a soft, squishy feel. 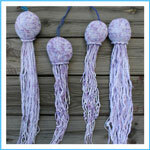 Lina snagged a skein of the Amethyst in Pashmina to whip up some jellyfish for her upcoming summer art show here in Reno. She has been using the Ariel the Jellyfish pattern by Un Peu Sauvage to make her own version of jellyfish in all different sizes, and she absolutely loves how the different tones in the Amethyst worked up to complement the design of these adorable aquatic creatures. Lina has inspired several of the Beans to create some jellyfish of their own, and these little guys are great for home decor and even mobiles for baby cribs! And don't forget to pick up a set of Amethyst-inspired Spark Stitch Markers, hand-crafted to coincide with this month's color! What could possibly be better than Madelinetosh yarn, you ask? 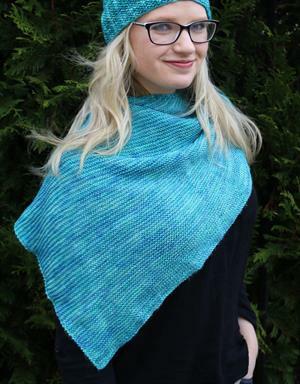 How about Madelinetosh yarn at 15% off?! 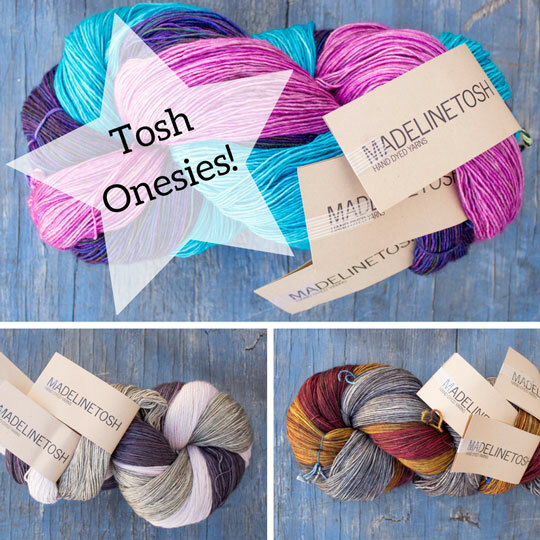 We just received a massive shipment of Madelinetosh Onesies in every yarn base and we are jumping for joy over all of the stunning colors. Due to some dye inconsistencies for these Onesie skeins, we are making all of our Onesies mystery selections that are categorized by their primary color tones. Every skein is unique in color and the yarn is still of the highest Tosh quality. This yarn is perfect for smaller one-skein projects or for larger color work and contrasting color projects. 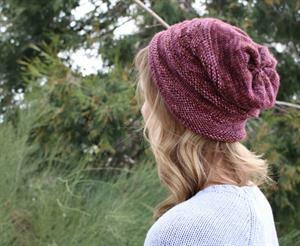 Treat yourself to a mystery skein or two of gorgeous Tosh yarn in your favorite base and let your creative juices flow! In celebration of our 15-year anniversary this month, Jimmy wanted share our company's history with all of our amazing customers to show how far we've come over the last fifteen years. From May 1st through 15th, we launched Jimmy's Journey to 15, a progressive story that shared one year of our company's history each day, and also highlighted a different vendor each day that made the journey with us. Jimmy shared daily videos and joined us from various locations around the Reno-Tahoe area to chat about what each year looked like for JBW. 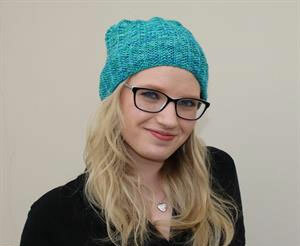 She shared personal anecdotes, fun facts about JBW, and reminisced on the relationships that she created with celebrities, yarn companies, and various media outlets to spread her love for knitting. We had an absolute blast reflecting on the past and all of the crazy endeavors that JBW has undertaken since our founding, and we're very proud of everything we have accomplished together. If you joined us on our 15-day journey, we hope that you enjoyed the experience and you were able to learn a little bit more about who we are and where we came from! We wouldn't be where we are today without our amazing customers and we appreciate you all so much! If you missed the journey but want to participate, you can still get in on all the action! All of Jimmy's videos and yearly stories are posted here on our blog. Follow and Interact with Us! 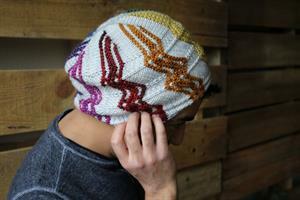 There are many ways to stay up-to-date on the latest happenings at Jimmy Beans Wool! Thanks for Reading and Happy Knitting! And please don't forget to support your LYS. In addition to being an online outlet, we also have a retail location and therefore understand how important it is to be supported by our locals. 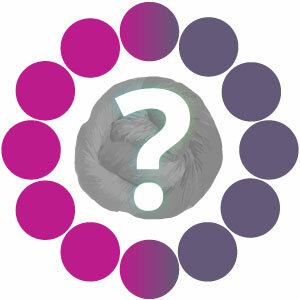 We only send the newsletter to people who have requested they be added to the list. You can update your notification options on our site any time. Contact Us (or stop by for a visit)!